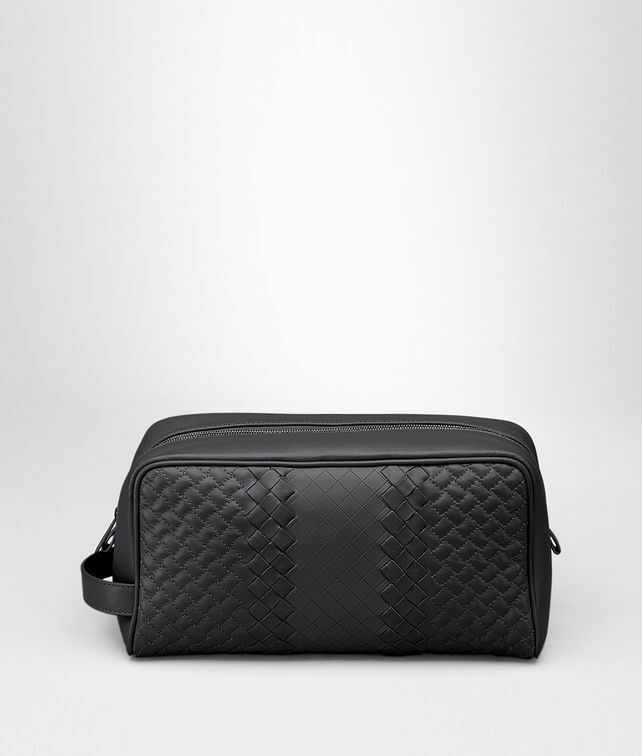 A luxurious travel or home accessory, this rectangular toiletry case showcases a unique combination of textures, hand-crafted from padded, interwoven and etched calf leather. The sizable yet lightweight shape is finished with a practical smooth leather handle and piping. The zipped cotton-lined interior is fitted with a flat pocket and a zip pocket to keep everything perfectly organized.